Oh & Don’t Forget About the Goat! 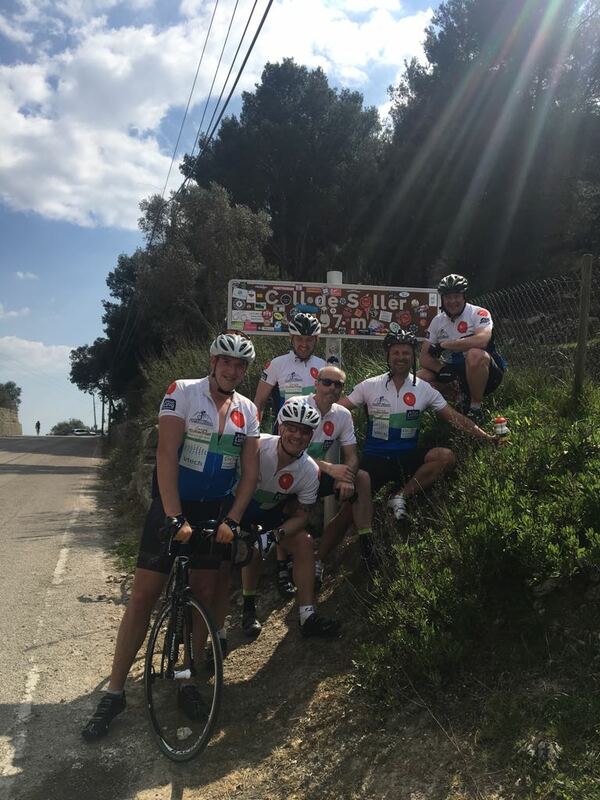 150km & 4,000 metres of climbing. 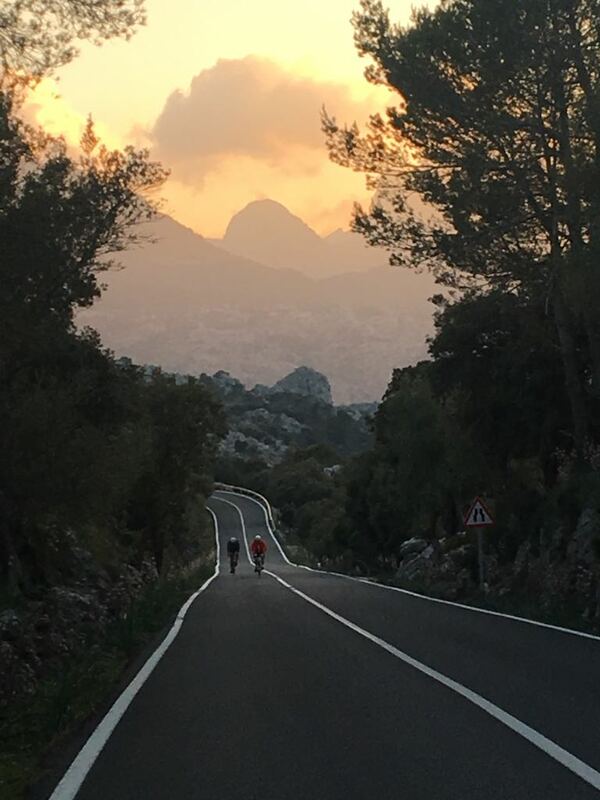 With our legs fresh from our afternoon trip to the lighthouse yesterday and spirits high 6 of the group boarded the Mallorca Cycle shuttle at 8am from Puerto Pollensa for the hour long journey to Andratx, bikes loaded we were on our way. Stewie had decided not to join us, as there was a new Maternity shop opening in neighboring Alcudia!!!! On arrival in Andratx we found the warm up to be very short lived and after 100 metres we were straight into a gradual haul up into the hills followed by our first sight of the coast which we followed for the next 15km until reaching probably the most picturesque Coffee stop ever at Estellencs which literally hugs the cliff. Our newly appointed translator ‘Sir Johnny Lancelot Boaler’ swiftly ordered our Coffees and later requested the billio. Can’t accurately describe how amazingly stunning the coastal route was but it climbed regularly and then dropped down into some of the most beautiful towns as seen on picture postcards. Our next stopping point was to be at Port de Valldemossa which at the 50km mark saw us at a third of the distance, the road down to Valldemossa soon disappeared off the edge of the earth plummeting down through a succession of tight hairpin bends on extremely narrow roads to a tiny village and our Lunch stop. Food was excellent and after refueling the ascent began with Nobby striding on ahead followed by Mark, Macca and JB, Simon & Ben closely behind. Shock of the day saw Mark flagging near the top and trailing in fourth behind a mighty strong Macca and JB then the two heavy muscled cyclists in Ben & Simon. 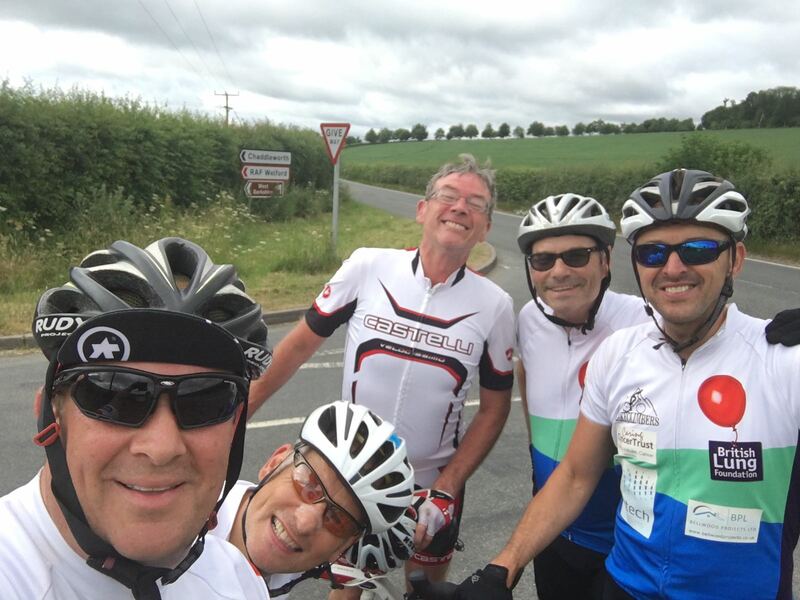 With only a quarter of our anticipated climbing completed we started to think we might have over committed to the ride ahead but we all decided to push on at a rapid speed eating up the distance in no time. On the final descent into Soller a Goat ran out into the road in front of Simon and so very nearly put an end to his ride and bike, only for the sake of a car coming in the other direction did it move out of the way. Needless to say Simon was somewhat slower for a while on the descents. From Soller we took the long winding road up to Coll de Soller (7.4km/740m/6%)where the lads finished in the same order as the previous climb. Mark knew something was amiss and experienced his first bout of sickness. Photos were taken at the summit and back down we went heading on through Soller onto the biggest challenge of the day “Puig Major” the highest point on Mallorca topping out at 848metres and 14km from sea level, we all decided to attack the hill at our own pace and meet at the top and so we did as per the previous climbs. What we were not aware of was that Saturday was Mad Motorbike day and it seemed that every budding Barry Sheen was out trying to scrape as much skin off there kneecaps without killing themselves or anybody else – if we had known this earplugs would have been packed!!! With Simon & Ben bringing up the rear team orders over the phones were given to meet at the next refreshment stop – with no apparent stops we all met up at the reservoir on the other side of the Mountain to which Simon & Ben were treated to the sound of what seemed like thunder booming up the valley but turned out to be Mark purging his stomach of something that didn’t want to stay down. The next 20km’s were chilly with undulating terrain on low water bottles and depleted food stocks but finally a welcome biker garage and bar was found about 20km from Peurto Pollensa, we all decided as daylight was on our side that refreshments could be taken and we all sat back smugly knowing our hardest day in the saddle had nearly been conquered with only a mainly flat and downhill run back to complete the day. We arrived back in Peurto Pollensa at 8.30pm all together as the group started with smiles from ear to ear. Stewie was there to welcome us back with tales of his long hard day shopping and sun bathing in the bay and then showers and dinner followed by a relatively early night. A lot was learnt from today. Mainly that we were all capable of more than we realised and also that in 6 months time we would all have to be far, far, far fitter to complete the challenge ahead but all agreed today had been our best cycling experience to date and proud to have completed it together as stronger friends than before.